Ready, set, go! Gear up for fun with the Fast Track Race Cars Backpack. 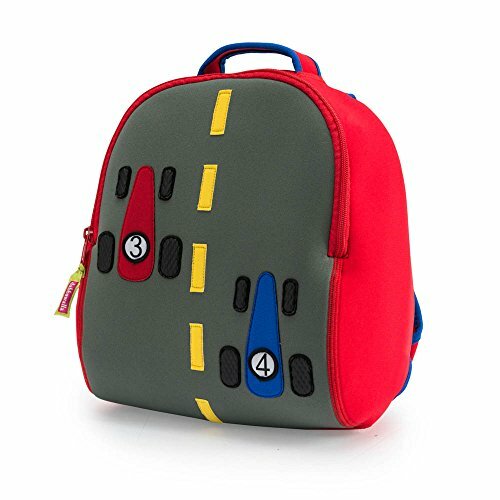 With its colorful simplicity and vibrant graphics, the race car backpack will please car enthusiasts of all ages. Individually sewn from a machine-washable, 100%-toxic-free foam textile, this bag is as practical as it is fun. Plenty of pockets allow tots to stash their own race cars when traveling to preschool, summer camp or grandma’s house.